Taking IP connectivity to a whole new level. Samsung Wireless SMT-i5343 goes beyond communications. 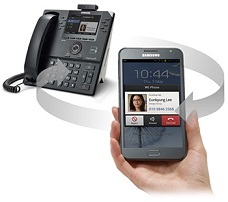 With the perfect combination of power and style, the Samsung SMT-i5343 takes IP connectivity to a whole new level, changing the history of business desk phones, IP deployments and users’ experience. 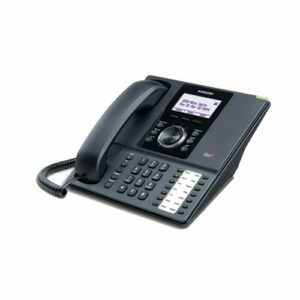 This top-of-the-line and intuitive IP phone seamlessly connects with employees’ mobile devices, enabling businesses to increase productivity and make the most of mobility. 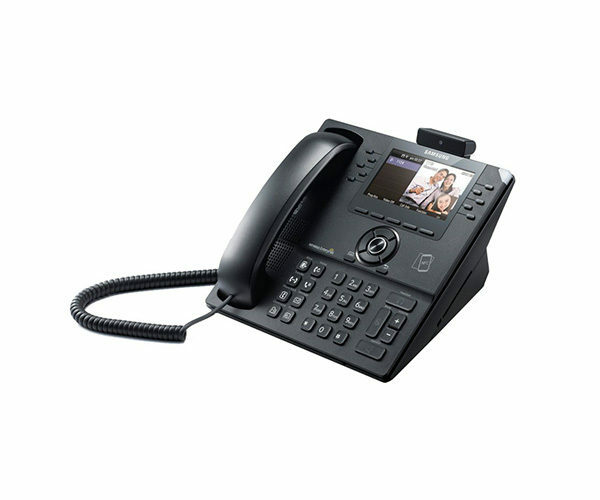 The SMT-i5343 is easy to use and comes with the Samsung Deskphone Manager (SDM) software, which allows you to share your contacts, program keys and control settings between smart devices and your desk phone. Ideal for office environments with shared office spaces or where employees need to travel between office locations, on-the-go employees can just tap the SMT-i5343 to log in/ out* to the IP phone via NFC and make it work as their own extension. 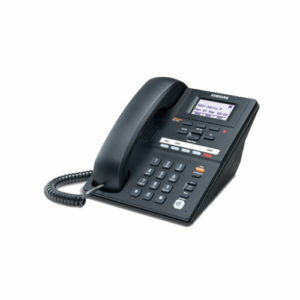 Equipped with powerful Wi-Fi technology, the SMT-i5343 IP phone can be wired/wirelessly connected and supports 2.4/5GHz dual band (802.11 a/b/g), WEP, WPA, WPA2 security, and 2 antenna for Rx sensitivity. Additional features include 4.3” color display, 1.3M pixel camera for video conferencing, HD voice quality and full duplex speakerphone. Powered by Bluetooth technology, you can pair your wireless headsets with the SMT-i5343 as well as mobile phones to seamlessly transfer calls from one device to another via Samsung “Call Move”* function. 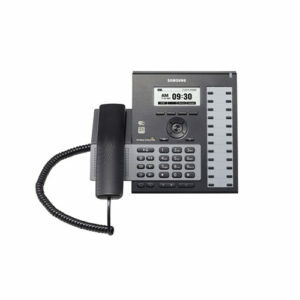 Specially designed to meet today’s communications needs, the SMT-i5343 is easy to use and comes with the Samsung Deskphone Manager (SDM) software, which allows you to share your contacts, program keys and control settings between smart devices and deskphones. It also enables you to use smartphones and tablets as add-on-modules (AOMs).